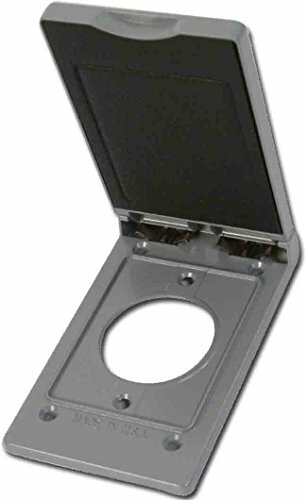 Greenfield, C1.6VPS, 1 Gang Weatherproof Electrical Outlet Box Cover for 1.6 in. Dia. Receptacle - Gray - Made in the U.S.A. by Greenfield Industries, Inc., Freeport, NY.